As the largest independent group of private pharmacies in Central London, Prince Pharmacy approached Guerilla to collaborate on an exciting rebrand, in anticipation of their latest branch opening and ambitious objectives for 2019. We were challenged to invigorate the group’s brand identity to become vibrant, fresh & clearly recognisable within the pharmaceutical market. 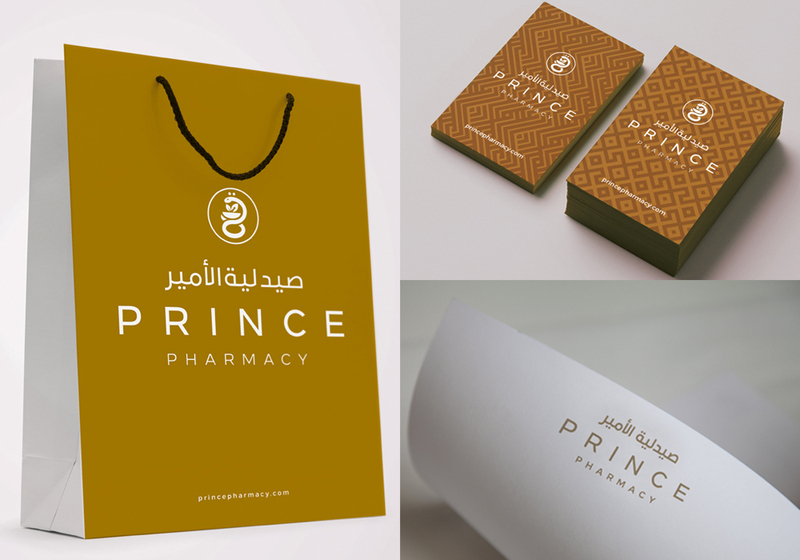 Influenced by the concept of concierge healthcare, we have helped to develop a holistic brand architecture for Prince Pharmacy, inclusive with a stylish, recognisable & prestigious brand marque to demonstrate not only differentiation but individuality. The new marque and accompanying collateral is clean, confident & contemporary in approach, whilst retaining elements of the heritage and luxurious gold colour pallet from the previous brand equity. We have provided a consistent solution across online and offline channels. Thanks to our expertise in global branding, we incorporated a bespoke Arabic typeface as part of the new brand toolkit, which was an important requirement of the brief. This has provided a strong and distinctive identity for Prince Pharmacy to own. The Prince Pharmacy brand refresh is well underway, and we are working tirelessly to bring it to life at a branch near you.